J oin us in listening to the new podcast series by the AME Canadian region! Too many emails? Not enough hours in the day? 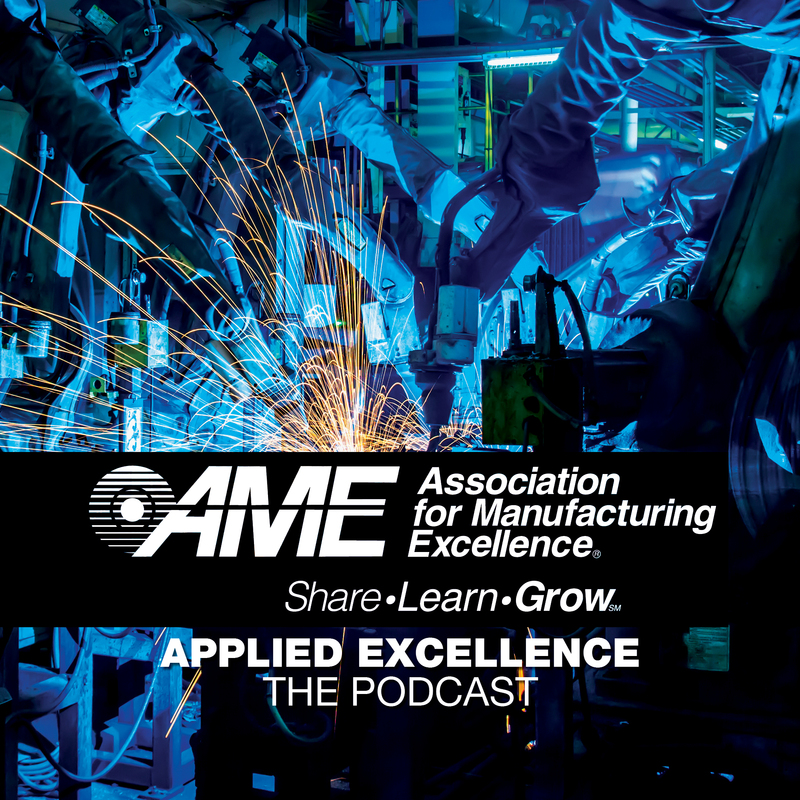 Now, with a touch of a button, you can get up to date on what’s happening in the AME Canadian region by listening to the new podcast series, Applied Excellence. Listen on the go—whether you're in the car or having your morning coffee. We give you the most important information—no long reading or scrolling. Just press play. Coming soon to iTunes and Google Play. Click below to listen and subscribe! In this episode, we take a hard look at daily management and how it propels an organization forward. You’ll hear from four experts who have seen the results that come from this key component of lean techniques. The consortium is playing a ever more powerful role today in business. Call it stregnth in numbers, open source sharing, learning from the mistakes of others—there's no doubt that a consortium can be a genuine contributor to a company's success. That's why AME maintains that consoria are so important today. In this podcast, you'll hear from consortia pioneers Anne Graham, Dave Hogg, Brian Holmes, Ryan Mecham and Andrew Wynn-Williams on the value of a local lean learning network. Change management is something every company faces at some point. The most complicated element of managing change may be understanding how to bring your employees on board. In this episode of Applied Excellence, AME Canada president Richard Evans, who has been helping companies manage change for decades, shares his thoughts on the subject. AME Canada president Richard Evans, event facilitator and continuous improvement/EH&S manager for the ESCO Corporation Brad Robertson, and lean expert and author Michael Bremer talk about what's in store for practitioners at the upcoming May 2 AME Canada world-class plant tour at Tremco and the workshop, "How to do a gemba walk" that follows. Click play below to listen now. To learn more or to register for the event, click here! AME Canada president Richard Evans and lean expert Jim Winn talk about what's in store for practitioners at the April 4 AME Canada world-class plant tour at Honda and the lean management systems workshop that follows. Click play below to listen now. To learn more or to register for the event, click here!